Is your PEG Channel exempt from FCC and ADA compliance? 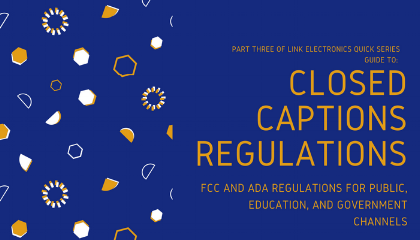 In this final segment on PEG channels and closed captioning, we will recap the FCC and ADA requirements for providing accessibility as well as what things you can and need to do to determine your exemption and other options for providing accessibility. 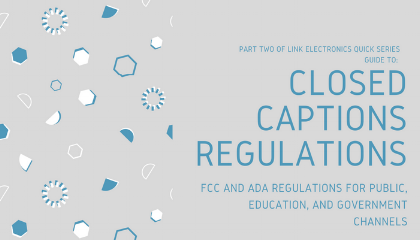 Part 1 of this series, was about accessibility regulations for Public Educational and Government (PEG) Channels, focusing on what a PEG access channel is, and what the FCC requirements are for closed captioning. This post will cover what the Americans with Disabilities Act (ADA) requirements are for closed captions regarding PEG access channels and what steps are necessary to take to qualify for exemption.